Over the years, there have been numerous, successful ports of Linux/Unix shells to Windows. Cygwin and Korn Shell come to mind. The problems with these implementations, though is that they are just that: ports. Microsoft’s integration of a full-fledged Ubuntu image into Windows 10 represents an translation layer that lets Windows run an actual Ubuntu user space natively. The translation layer is similar to WINE, but it’s not an emulation. This is a pretty fascinating development. Personally, I use bash and Linux daily. 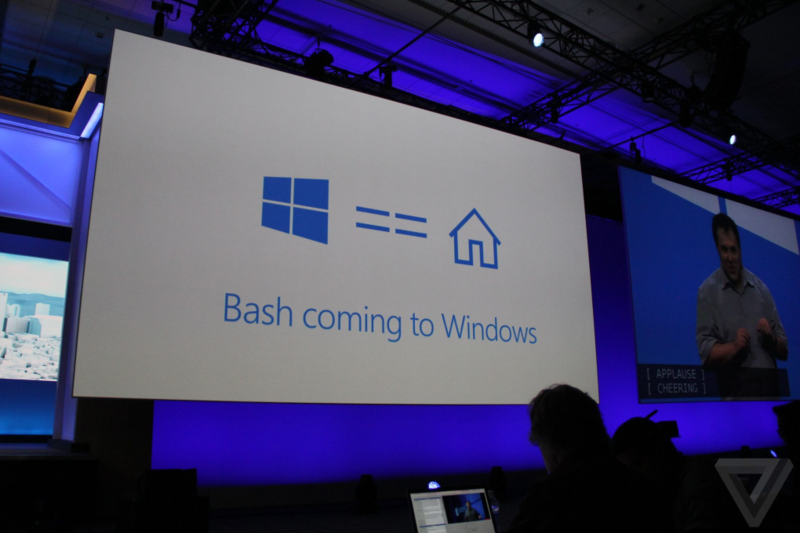 Even Git for Windows is bash-based. After my own foray into porting my servers to Linux, I can’t say that this development will push me back to using Windows 10 more than I am now, but it is a good development. There are many utilities and features available through the Linux user space that simply aren’t available in Windows. Many things, especially scripting functions, are easier to achieve in bash than in DOS. PowerShell bridges that gap for most people, but incorporation of Ubuntu into Windows further makes Windows cross platform capable. Conceivably, since this is the full Ubuntu user space running on Windows, all out of the box utilities (grep, awk, sed, apache2, etc etc) will be available and any package could be installed through apt-get or dpkg. This is something that places this implementation well beyond ports of bash. I do wonder, though, if at the rate Microsoft is going with their embracing Linux strategy, will there be any reason at all to continue using Windows? I mean, if, ultimately, we are going to use Linux tools in Windows, what advantage do we gain by not simply running Linux as our primary OS? Does this make Linux even more attractive on the desktop? Only time will tell.